The candidates for the Board of Directors are listed below. 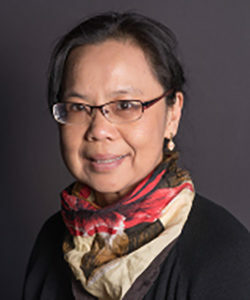 The term of current Treasurer, Hilda Shymanik, expires on May 18, 2019. Hilda will not seek reelection to the Board. NAJIT is holding an election for one board member. The candidates for the Board of Directors are listed below along with their candidate statements and biographies. Here is your opportunity to pose questions to the candidates. 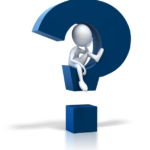 Click the question mark on the right to email your question. Your question will be received by the Nominations Committee and then forwarded to both candidates, giving everyone an opportunity to respond. Responses will be posted below once received. To cast your vote you will need the voter key and voter id that was emailed to you. If you have that information you can vote here. NAJIT Board elections will be handled exclusively via electronic and mail proxies in 2019. There will be no voting at the Annual Meeting. This is your only option to vote for the Board of Directors. By participating in the electronic voting process you are providing your proxy instructions to the Secretary of NAJIT to be executed on the day before the annual Meeting, May 17, 2019. If you prefer, you can send a ballot by mail. You must provide your member (account) number on the ballot. Please note, once you select the mail ballot option you will not be able to vote electronically. Mail in ballots must be received by May 10, 2019. NAJIT will be accepting electronic ballot proxies until May 17, 2019. You must be an Active or Life member of NAJIT to vote. NAJIT will keep a record of who has voted and who has not. You may only vote once. If you encounter any difficulty in voting, please contact the NAJIT Elections Committee at elections@najit.org. NAJIT conducts elections electronically through a third-party election platform (Election Runner) prior to the Annual Meeting. When a voting member submits an electronic ballot, s/he receives an email confirmation of his/her vote. Election Runner tallies all votes within its platform. Votes are recorded by voter key. Election results are not available until the election closes. Election records are archived within Election Runner. On the morning of the Annual Meeting, a report of the final tally is pulled from Election Runner and provided to a designee of the Board of Directors or Elections Committee who will announce the election results. A paper ballot is available via the member portal or can be requested by emailing elections@najit.org. In the event ballots are mailed and received at NAJIT headquarters in advance of the conference, protocol is to open and count them at the same time the online ballots are tallied. Question #1: Qualified interpreters working without impediments that affect their ability to perform accurate interpretation are essential to due process in proceedings involving LEPs, a fact that NAJIT has always recognized and placed at the center of its position papers. I want to ask: if elected, will you put advocating for EOIR to implement the best practices known to the profession and backed up by research on your working agenda? Hebba Abulsaad: I’d like to preface my response by stating that as a potential NAJIT Board member, it is my intention to ensure that views on all sides are heard. I know several interpreters who work with the EOIR, and I am aware about some of their problems. My recommendation would be to listen to all views to try and figure out and document where there is a breakdown between the needs of the EOIR, the vendor (currently SOSI), and the contract interpreters. I am a big proponent of presenting evidence-based solutions, so I would invite other members (possibly establish a 2 to 3 person committee) to come up with a solid document that presents the issues, and offers evidence-based solutions, that take into account the working conditions of interpreters, the needs and resources of the EOIR and the vendor’s structure and capabilities. Also, as you stated ” In years past, NAJIT has submitted letters of concern to EOIR about interpreting conditions, raising critical issues such as a lack of team interpreting”, So, it will be a vital thing to continue what started in the past. Uniting EOIR interpreters to strengthen their voice is also a very important step too. As an organization, NAJIT serves legal interpreters and translators, but EOIR interpreters have a special niche and not many people know how hard they have to work. A committee could educate members of the profession about the kind of work those interpreters do. Barbara Hua Robinson: Thank you for your question.Under the current administration, with issues at our borders, EOIR courts are certainly at the front burner nationwide. As your fellow interpreter, for the last twenty years or so, I have had a steady position with regard to EOIR court interpreters, that is to advocate for using qualifying interpreters, team interpreting, proper equipment, adequate training and reasonable working hours and conditions. I am now part of the NAJIT Advocacy Committee headed by Sandro Tomasi, and will continue to contribute as part of this team to advance interpreter’s important role in our society, immigrants included. Thank you again for your question, and I hope you find time to communicate with our Advocacy Committee and make concrete suggestions.